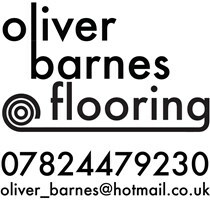 Oliver Barnes Flooring - Carpets/Flooring based in Poole, Dorset. My name is Oliver Barnes and I am the proprietor of Oliver Barnes Flooring, thank you for visiting may page. I have worked within the flooring industry since the year 2000, learning my trade whilst working for a large carpet and flooring company based in Poole. I remained there for 10 years working in many different environments and working for many different people. As time passed I felt it necessary to spread my wings and go alone, for which I have been doing successfully since. We specialise in many areas of the flooring trade, from carpets to luxury vinyl tiles to wood floors and safety flooring. We are predominantly a supply and fit service and have access to many manufacturers including, Britons, Axminster, Penthouse, Karndean, Amtico, Distinctive and Altro- we also offer a wood restoration service. All of our estimates are totally free, we will bring samples to your door. Please feel free to browse our page and take a look at some of the projects we have completed.